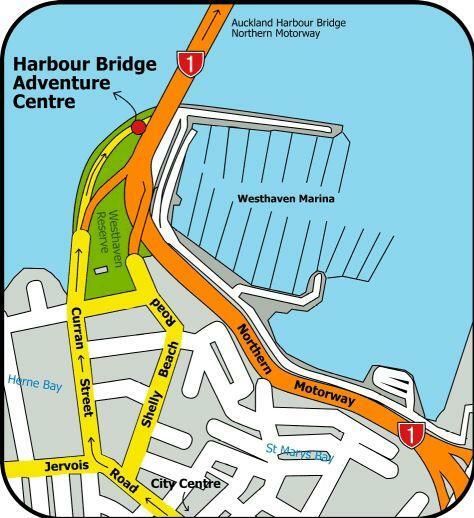 This unforgettable easy going adventure takes walkers under, around, up and over the historic Auckland Harbour Bridge. Last of its kind to be built in the world, custom engineered walkways provide a safe and enjoyable experience as you walk over water showcasing the incredible sights, sounds and activity of Auckland. Enjoy the most magnificent views of Auckland from the very summit. The best thing is having a guide teach you all about the amazing city, its history, NZ history and culture all while you unlock some secrets and have a laugh at the funny facts. Even see a Bungy up close! Designed to be a light easy going experience for all fitness levels.SAFETY COMES FIRST – ALWAYS We are the Bungy originals, we’ve been doing Bungy and other adventurous stuff for 30 years and our crew is the most experienced in the world. Our impeccable safety record puts your safety – and wellbeing – first. That’s why we will NEVER compromise on safety. THE FACTS NEW ZEALAND’S ONLY BRIDGE CLIMB FULLY GUIDED TOUR SPECTACULAR VIEWS FROM THE BRIDGE SUMMIT EXCLUSIVE HARBOUR BRIDGE ACCESS SEE BUNGY JUMPING UP CLOSE Begin by either catching the complimentary coach transfer from the Sky Tower, or making your own way to the Westhaven Marina bridge climb office. At the office, your guide provides you with a safety briefing and introduction, as well as all-weather outerwear and safety gear. You can leave any extra belongings in the office lockers before heading out to the bridge. When you’re suited up, follow your guide along custom-engineered walkways that lead to the summit of the bridge, which stands 200 feet (67 meters) above the water. Along the way, your guide points out engineering features and shares interesting facts about the construction and history of Auckland’s iconic bridge. See the span from underneath and above during the climb, with regular stops to soak up amazing views of Auckland and Waitemata Harbour. Your guide helps you to identify landmarks in the Auckland skyline as you take in the spectacular sight of the city from this perspective. Also, your tour stops at the bungy jump platform where you get a great vantage point to watch the bungy jumpers take the plunge. Your walk follows the gently curved arches of the bridge, for an easy climb that is suitable for a range of ages and fitness levels. Each person is clipped into a safety rail for added security. The provided outerwear keeps you warm and dry in all types of weather. After about 1.5 hours and a memorable experience of the Auckland Harbour Bridge, you return to the bridge climb office to wrap up your tour.